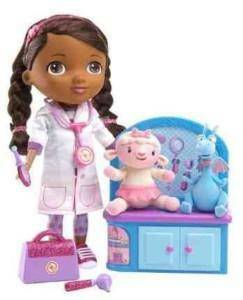 Black Friday Toy Deals | Talkin' Doc McStuffins & Fur Real Kitty! Home / Deals / Online Deals / Amazon Deals / Black Friday Toy Deals | Talkin’ Doc McStuffins & Fur Real Kitty! Be sure to check out some of these pre Black Friday Toy Deals going on now at Amazon! 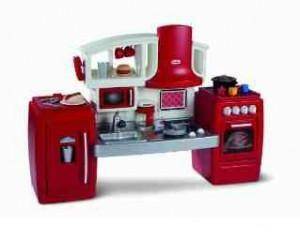 Shop the Black Friday Toy Deals for savings on some of the Hot Holiday Toys for your kids! Christmas is around the corner, so go ahead and start finding deals on the items your kids want! Keep in mind that Amazon offers Free Shipping with Amazon Prime, or Free Super Saver Shipping on orders of $35 or more! Grab this VTech Cody The Smart Cub Plush Toy for $11.99, down from $19.99! Get Free Shipping with Amazon Prime, or Free Super Saver Shipping on orders of $35 or more! That is a savings of 40%! Here is a cute Melissa & Doug Shape, Model and Mold Set for $13.59, down from $19.99! Get Free Shipping with Amazon Prime, or Free Super Saver Shipping on orders of $35 or more! 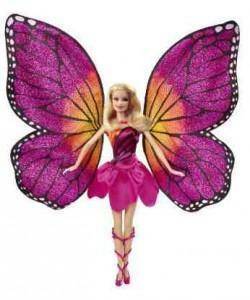 Check out the Barbie Mariposa and The Fairy Princess Doll for $19.99, down from $26.99! Get Free Shipping with Amazon Prime, or Free Super Saver Shipping on orders of $35 or more! Pick up this Mooshka Sing Around the Rosie Doll for $19.99, down from $24.99! Get Free Shipping with Amazon Prime, or Free Super Saver Shipping on orders of $35 or more! Get the Lalaloopsy Loopy Hair Doll Mittens Fluff n’ Stuff for $22.99, down from $34.99! Get Free Shipping with Amazon Prime, or Free Super Saver Shipping on orders of $35 or more! That is a savings of 34%! Grab this Learning Resources Doctor Set for $25.97, down from $36.99! Get Free Shipping with Amazon Prime, or Free Super Saver Shipping on orders of $35 or more! Grab the Fur Real Friends Daisy Plays-With-Me Kitty for $31.99, down from $51.99! That is a savings of 38%! Get Free Shipping with Amazon Prime, or Free Super Saver Shipping on orders of $35 or more! You can get the Step2 Easy Turn Coupe for $39.99 + Free Shipping, down from $69.99! Since this item is priced over $35, you will receive Free Super Saver Shipping or Free 2-day Shipping with Amazon Prime! Pick up the Just Play Doc McStuffins Magic Talkin’ Doc and Friends for $45.61 + Free Shipping, down from $49.99! Since this item is priced over $35, you will receive Free Super Saver Shipping or Free 2-day Shipping with Amazon Prime!